Dahar master. Legendary warrior. Former ambassador to Vulcan. Victorious at Klach D'Kel Brakt. Swore blood oath against the Albino. Sought the Sword of Kahless. 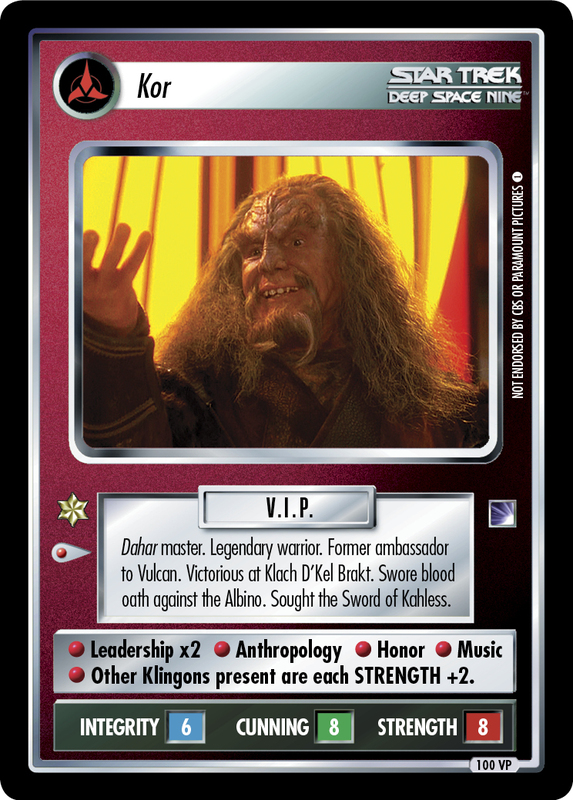 • Leadership x2 • Anthropology • Honor • Music • Other Klingons present are each STRENGTH +2.